None of OMEGA’s distinctive watch lines is more strongly identified with the brand’s pioneering spirit than the Speedmaster. The legendary chronograph has a long list of adventures to its credit, including every one of NASA’s piloted missions since May of 1963. When Buzz Aldrin stepped onto the lunar surface in 1969 wearing his OMEGA Speedmaster Professional, the watch achieved true iconic status. OMEGA is extending the classic line with a selection of 38 mm Speedmasters designed especially for women. The new releases combine the robust sportiness and chronograph performance which have long characterized the family with some touches of elegance not normally associated with the rugged Speedmasters. 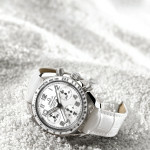 The new Speedmaster Ladies’ Chronograph Chronometer models have their own distinctive personalities: One has a white ceramic bezel ring, a white lacquered dial and a white alligator leather strap. Another has a black ceramic bezel ring, a grey dial and a dark grey alligator leather strap. 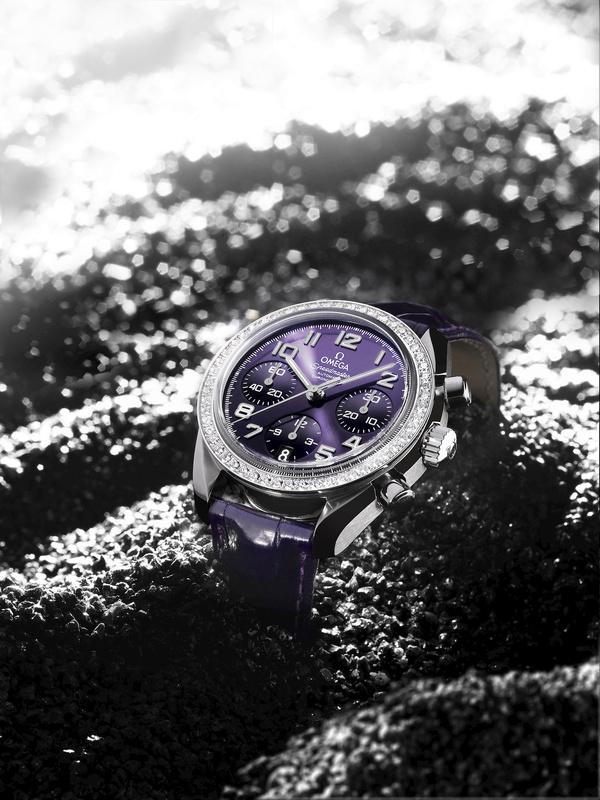 Perhaps the most arresting model has a purple PVD-coated dial and a purple alligator leather strap. 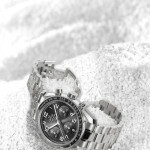 Its bezel is paved with 54 diamonds – this is definitely a Speedmaster with an attitude. Rounding out the offering is the most glamorous member of the line. Like the other chronographs in the new collection, it has a stainless steel case but its bezel ring is made of 18 Ct pink gold and is enhanced with 54 diamonds. 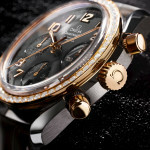 Its crown and chronograph pushers have also been created from 18 Ct pink gold. Each watch in the collection is a COSC-certified chronometer. 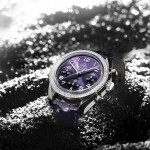 They are powered by the OMEGA calibre 3304, a self-winding mechanical movement. In addition to their full chronograph function, the new Speedmasters have a date window at 6 o‘clock. This entry was posted in Speedmaster Automatic and tagged 324.18.38.40.10.001, Ladies on March 17, 2010 by Dale Vito.